I am honored to say that I received a blogging award! Thank you to Sarah, over at All Things Blogs. German word meaning "dearest or beloved"
The Liebster Award an award for bloggers, given by bloggers. The special thing about this award is that it is just for an up and coming blog with 200 followers or less. I certainly have less than 200 followers--and I appreciate each one of them--and I hope that I can be classifies as "up and coming"! I certainly enjoy blogging and don't have any plans to stop anytime soon. Now, for a quick pause for full disclosure--I did a bit of Googling (and Swagbucking) to see if I could find the origin of this award. And I couldn't. This leads me to believe that it is somewhat of scam or "blogging's answer to the chain letter" as Ruth put it. Also, as Heck of a Guy points out, "The Award is of recent origin. If each winner required a month to re-reward the Liebster, after one year more than 89762301673555230720 blogs would be flashing the Liebster prize." Yeah . . . However, I can find no fault in highlighting other blogs that I like who happen to have a smaller following. So I will continue. 5. Let them know they've been chosen by emailing/commenting on their blog. A note to awardees--I will not be offended at all if you don't wish to continue this chain, err, present this award to others, but I decided to do it for fun--at the worst it's a little free publicity for you. Cindy has some mad sewing skills. I came across her looking through a crafty link party. I love that she even makes her kids super cute swimsuits. If you read my blog at all you know I love to crochet--Kara's blog is a fun place for tips, inspiration, how to's, and a great place to party! Tiffany has a great list of pattern companies, a page of giveaways, besides being a talented seamstress--just check out this purse! While Schmitty and I don't necessarily have the same taste in music and movies, we do have some overlaps and I am always curious to see what he has to say. Besides, you have to love a guy that encourages you to watch The Princess Bride and simultaneously endorses heavy metal. 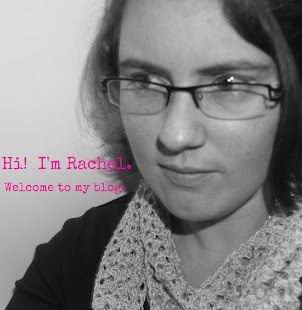 For #5, I will mention two blogs by one blogger, Liz. Frugally Blonde and the only one of its kind, Catholic Deals are both awesome resources for the budget conscientious. Frugally Blonde is the blog that got me serious about couponing.